With choices like single malt, Champagne and gold coins, why settle for just one basket this year. exquisite shawls, collectible pens and more. artisanal chocolates) and jams crafted in the Himalayas. The goodie box at this Alwarpet hotel has something for everyone. 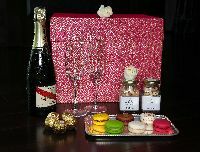 From scented candles and peppermint chocolate bars to a dining and stay coupon, and even a miniature selection of liquor (Johnnie Walker Black Label, Absolut and Beefeater), it checks all the boxes for a great celebratory gift. From Rs 1,000++. Biscotti is leaving the choice up to us. Choose from a wide selection of assorted dry fruits, laddoos, kaju barfis and Mysore pak, besides savoury treats and signature Biscotti preparations, like their macarons. 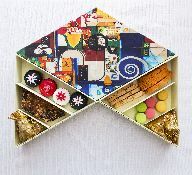 Their specially-designed gift boxes have been inspired by the a�?Honeybeea�� art exhibited in the hotel. 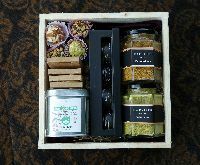 Featuring brownies, assorted chocolates, Indian sweets (from motichoor laddoos to Mysore pak) and even a box of imported cheese (either brie or Camembert), Park Hyatt is offering you the option of three hampers. 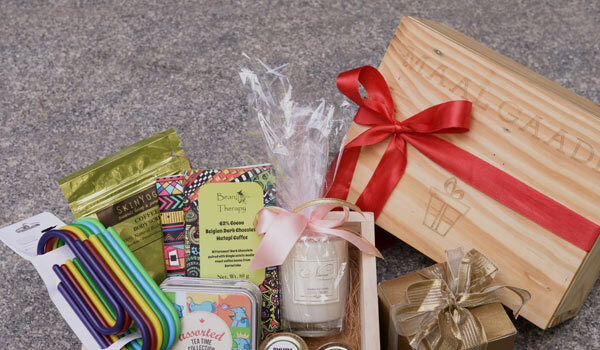 While the basic starts at Rs 1,000, you can add a bottle of imported Australian wine (like Jacoba��s Creek) and a specially-decorated silk box with sweetsA� to the Rs 6,000 hamper.